"Buck Rogers in the 25th Century" is a joy for me, I like the series and it was a complete merchandising whore (unlike most 70s sci fi shows I love). 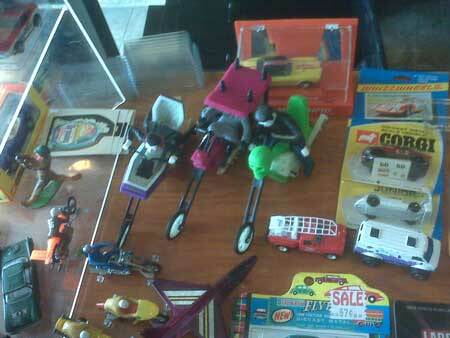 As a bonus, much of said merchandise can be found cheaply on the secondary market. Take this new inductee into the Fleetwood Toys gallery it's not only got some great graphics, is surprisingly screen faithful and wouldn't last an afternoon's play. 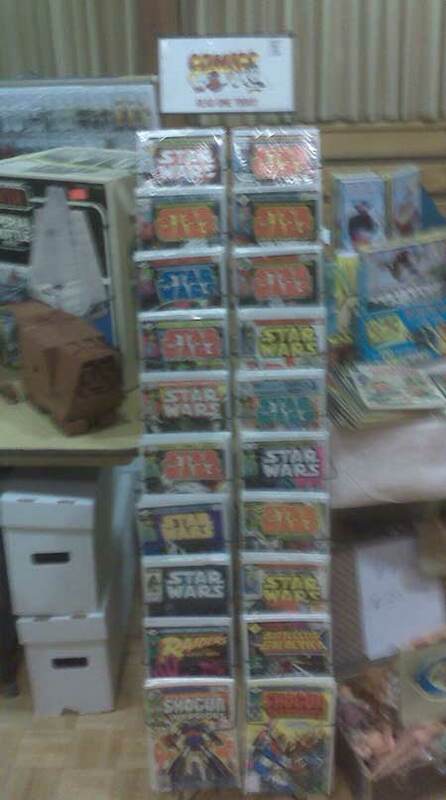 This, is the stuff of childhood. I was shocked to find three Ideal Scare Cycles in such nice shape, I kind of think the dealer was shocked I knew what they were. I should have gone home with that Dracula, I'm an idiot. 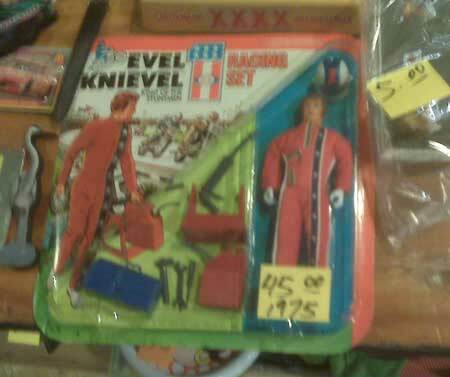 There must have been a small find of these Evel Knievel sets because every other dealer seemed to have one, it was pretty crazy to see that many MOC in such a small space. 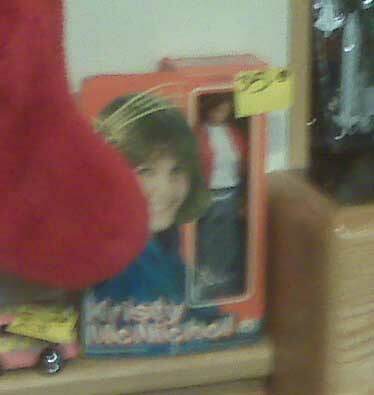 Ah Mego Kristy McNichol! In my younger days I'd have taken you home, dealer was willing to go down to $25 and I still passed. 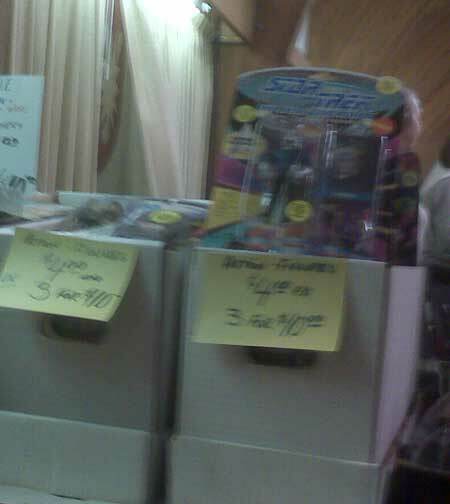 Oh how the mighty have fallen, Playmates Star Trek were the absolute BOMB in the mid 1990s and it seems like every single collector just gave up at once. 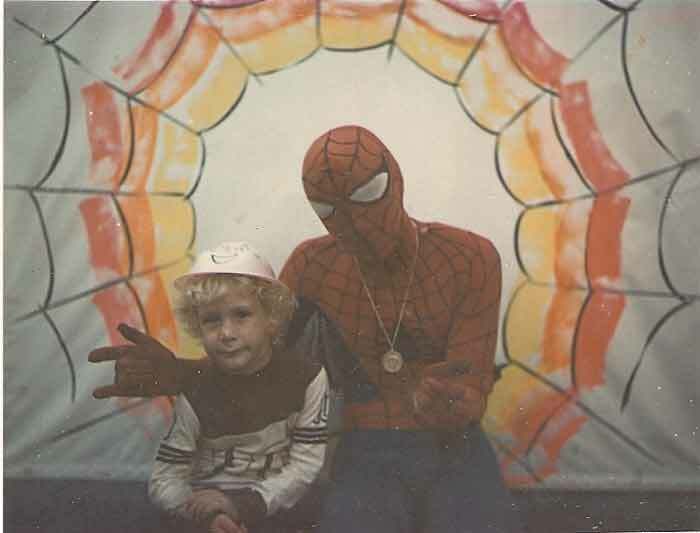 I've often pondered aloud on this blog about shots (like this one of my pal TJ above) where Spidey appears to be wearing a funky medallion and basically my thoughts were of the "what's up with that?" nature. 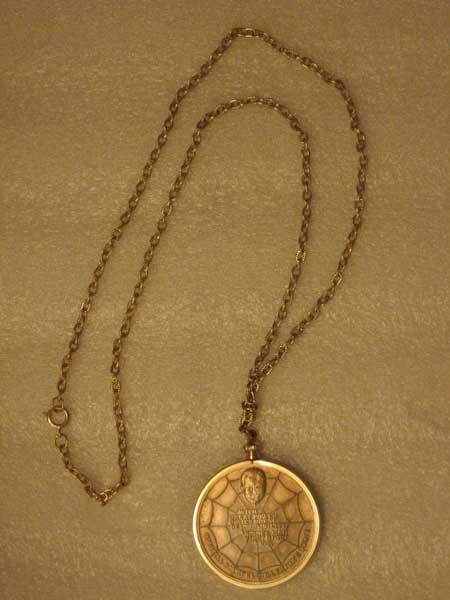 "When Spider-Man started appearing Stan saw one wearing the 1973 Spider-Man medallion. He thought that was very cool and checked to see if there were any left. 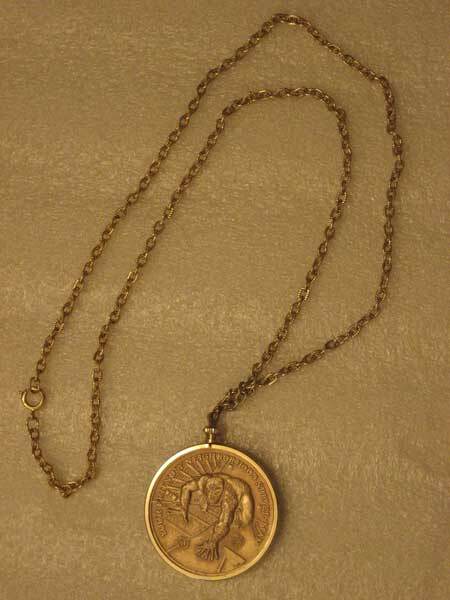 There was some left over from sales and upon issuing a Spider-Man suit a coin medallion was too. Turns out that kids would mob Spider-Man and these medallions were damaged and even taken by some frenzied fans. 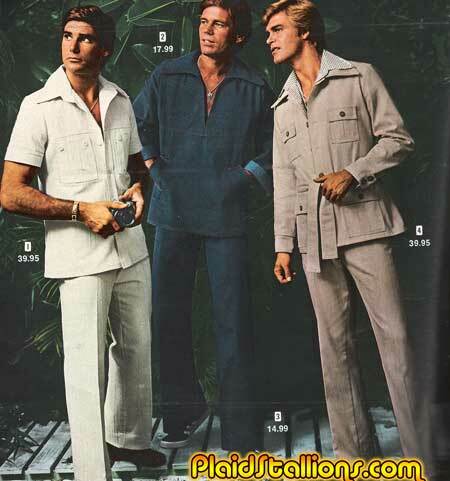 They were no longer issued but the ones that already had them kept wearing it." 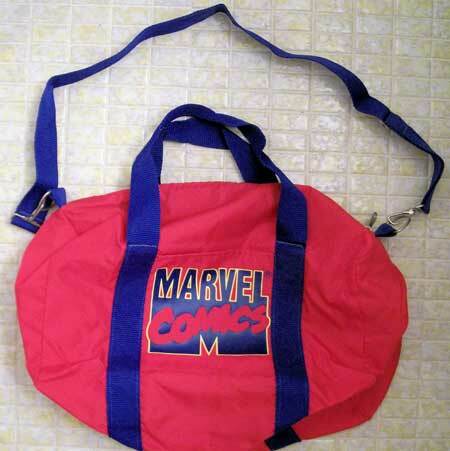 And thanks to Lynch, here are some shots of what the British would call "Spidey's dangler"
"In the 1980's they issued a carry bag for the suit.I know this information because I bought a medallion and bag from one of the actors. He kept the suit and would never sell it. He also told me some interesting things. Kids brought all kinds of things for him to sign. 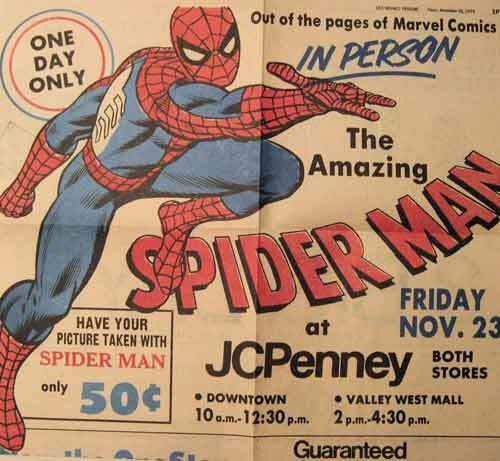 He remembers signing a large Marvel Treasury #1, lunchboxes, some original Spider-Man #1 comics and action figure boxes. Whenever a Spider-Man collectible or comic book had "Spider-Man signed on it that is where the signature was from. It doesn't add value to the item, unfortunately." And there you go mystery solved, it's all Stan Lee's idea. I know that whole thing probably did cause you all to lose any sleep but such things prey on my subconcious so I'm very thankful to Lynch for the intel. BTW I got Spidey to sign my treasury edition as a kid, still have it but sadly no photos..
One of the things I get a lot of Email about here is the Kenner Tree Tots line, "your friends from the magic forest" is a fondly remembered pre school series that captured kids imaginations in the late 1970s. I personally remember the line well, being eight years of age at the time, it was first time in my life I regretted being too old to play with something, that feeling plagues me to this day. 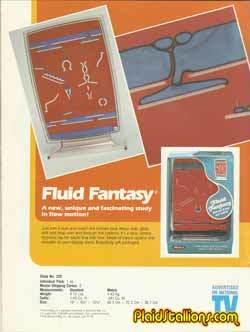 1978 saw the line expand in fun but pretty illogical ways, including a roller coaster, light house and secret mountain fortress. "Tex" Lowenstein: cowboy by night, Novi, Michigan area shoe clerk by day. 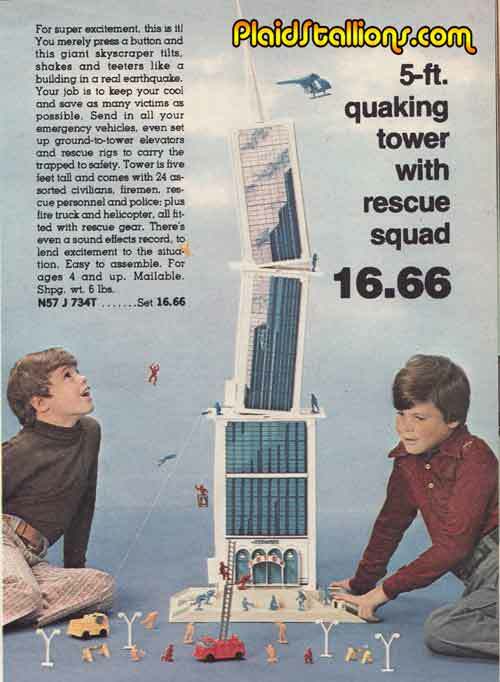 I've blogged about Earthquake Tower before, the crazy likely Irwin Allen inspired playset where you basically get to simulate a major earthquake. Thanks to my buddy Doug, who hooked me up with another killer playset last year, we now have an audio file of the actual record that came with the set, to help you simulate the disaster. It's really strange but I'm glad I got to hear it. If the embed code is showing up on your browser, here is a link to it on Youtube. Mock them if you must but they know a comfort that you shall never experience in this lifetime. 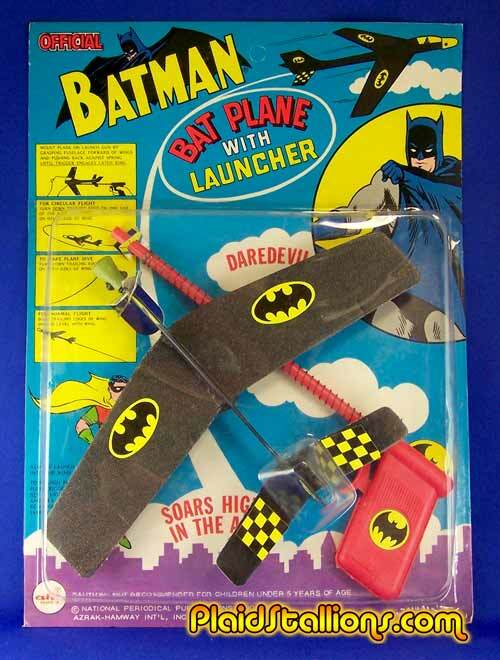 New to the AHI Batman Rack Toys Gallery is this fun little plane which in 1976, caused my grandmother much duress. As a kid, I was often baby sat by her on Saturdays while she worked in her store, this usually meant a trip to Woolco and a cheap "shut up toy" of this ilk. 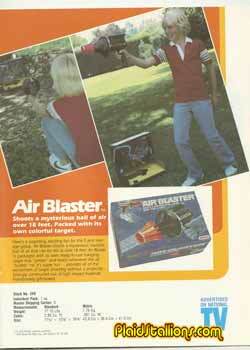 Upon buying this very toy, I promptly shot it into the then bustling crowds of the Whitby mall, causing my normally good natured Grandmother's head to explode, seriously this was the first and maybe one of five times I've seen her blow her stack. She was so pissed she returned the thing. 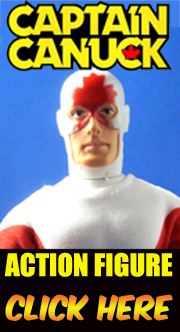 I remember at five years of age thinking that action was deserved. It's been months since I found a good colouring book to review around here so I jumped on the horn and asked my friend Sharry (AKA Hardygirl on the Mego Museum forum) to dig one out of her pretty vast library and she chose this. To my surprise this book isn't vintage, it's from 2005! I'll be honest and reveal to everyone that H.R. 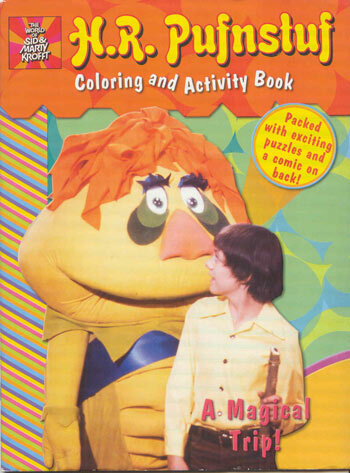 Pufnstuf scared the living crap out of me as a kid. That scene with the boat transforming just freaked out four year old Brian to where it actually left a l'il scar. It's that time of the year where many of us begin to pine for warmer temperatures and sunny days. What a perfect time to showcase the efforts of Wham-O a company that thrived on such things with a creative and very colourful line up of items. 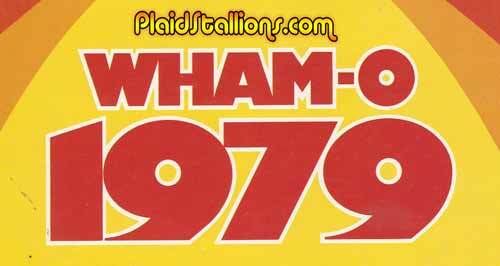 Wham-O stuff was always easily identified, the company had some neat-o stuff and I'm happy to showcase it. 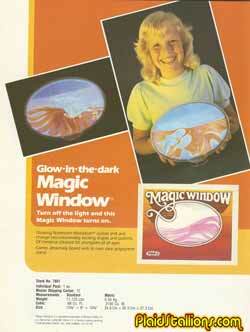 Click here to visit the 1979 Wham-O toys catalog. And if you like Wham-O , check out this amazing book on Amazon. 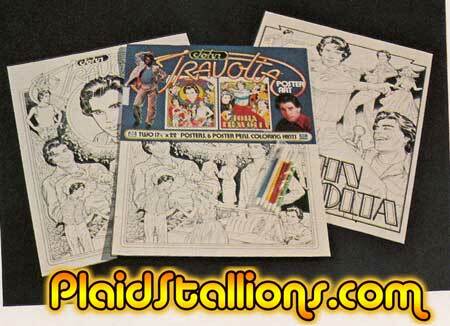 It's the recipient of the 2009 Plaidstallions Retro Awards for best book. Royal Mail is celebrating the iconic work of Gerry Anderson on a new set of stamps issued 11 January 2011. Gerry Anderson is the creator of the puppet characters from cult TV programmes such as Thunderbirds, Captain Scarlet and Stingray, that have thrilled millions of people since the 1960s. FAB: The Genius of Gerry Anderson kicks off the 2011 Royal Mail Special Stamps programme in style as the issue contains the UK’s first ever ‘motion stamps’. A miniature sheet of four stamps has been specially printed so that when they are tilted back and forth the iconic opening sequence of Thunderbirds is played with each of the crafts launching: 5, 4, 3, 2, 1! The latest stamps celebrate the 50th anniversary of these ground-breaking programmes which began with Supercar in 1961. The programmes celebrated on the main issue of stamps are Thunderbirds, Captain Scarlet, Joe 90, Fireball XL5, Supercar and Stingray. Whilst the miniature sheet of ‘motion stamps’ features stamps showing Thunderbirds 4, Thunderbirds 3, Thunderbirds 2 and Thunderbirds 1. Philip Parker, Royal Mail Stamps spokesperson, said: “Gerry Anderson’s ingenuity and inventiveness caused a sensation in the 1960s. We‘re delighted that 50 years on we are able to recognise and celebrate his work on our first stamp issue of 2011. The Gerry Anderson archive is represented by ITV STUDIOS Global Entertainment which worked with Royal Mail to produce FAB: The Genius of Gerry Anderson. Celebrate America's finest actor in a tribute only markers can provide. 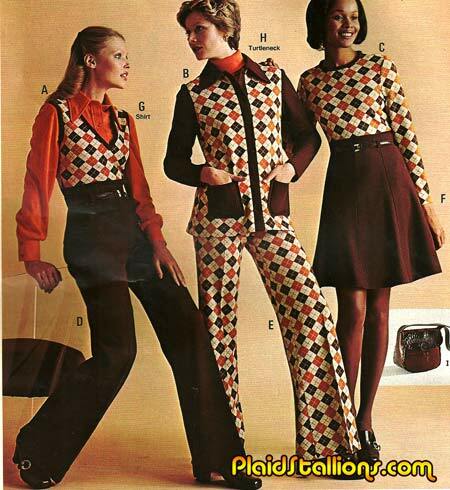 Sadly this set does not come in "Battlefied Earth". Rated G for Good Looking! 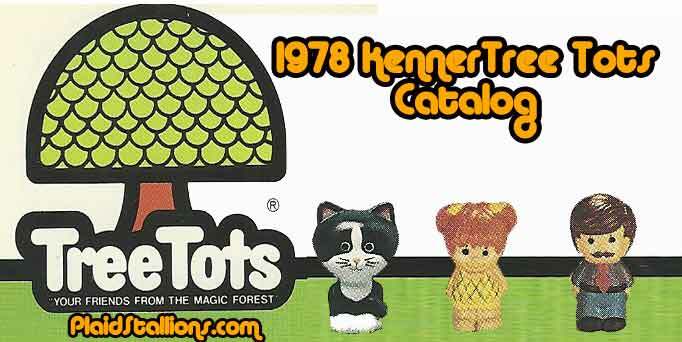 In 1975 Kenner Toys grabbed the license to a popular ABC TV series and found themselves with one of the hottest toys of Christmas 1975! 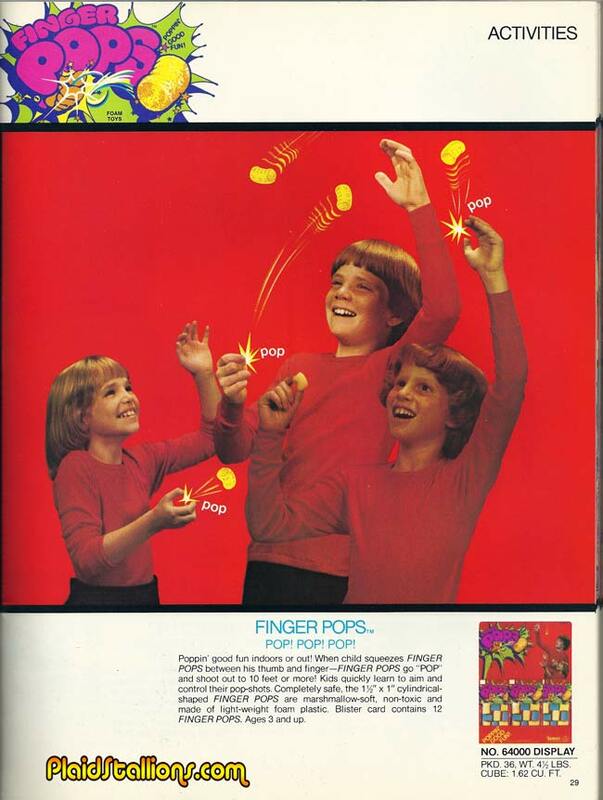 Seriously, my mom recalls almost being trampled at the local Kresges when moms lined up to get their limited supply of these. 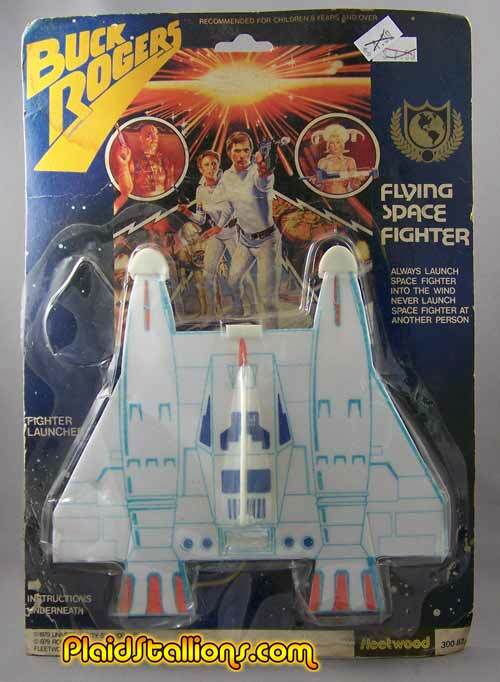 The line's beginnings were humble however Kenner put a lot of effort into the original figure, where others might have simply phoned in an action figure line Steve had a ton of play value. 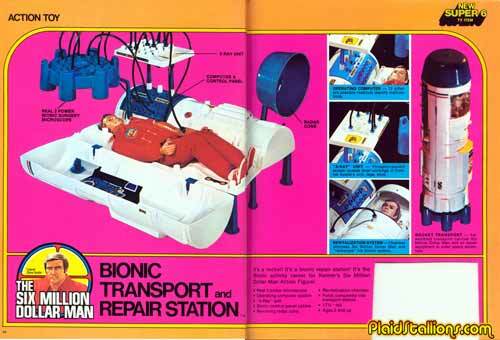 Kenner reaped great reward from that concept. One of the more recent things I've noticed in Catalogs is the use of Kittens as props, sometimes it's used to convey a message of warmth to the consumer. 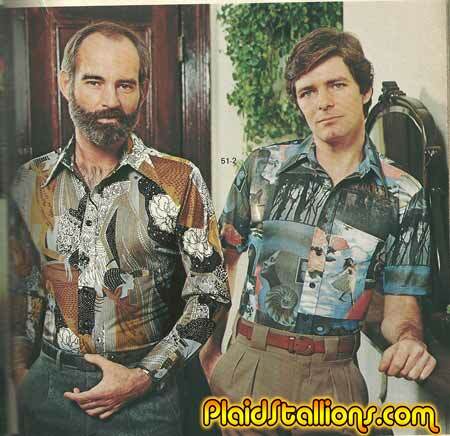 Take this gentlemen above, the Kitten conveys his gentle 70s side, don't you just want to squeeze him? The cat looks to be very underwhelmed. 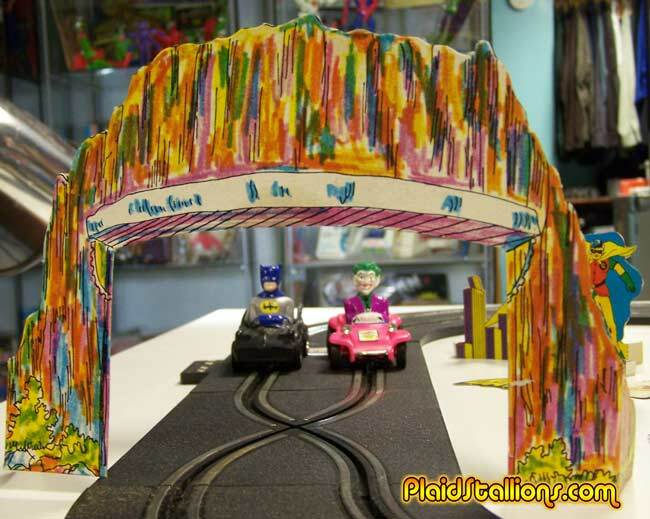 Time to take an indepth look at one of the more premium products made by Azrak Hamway, this time it's the Batman Road Race set. Normally, AHI stuck to low cost rack toys and released the higer priced items through their Remco brand but occasionally they'd do a higher price point item like this road race set and well, do a pretty good job of it. 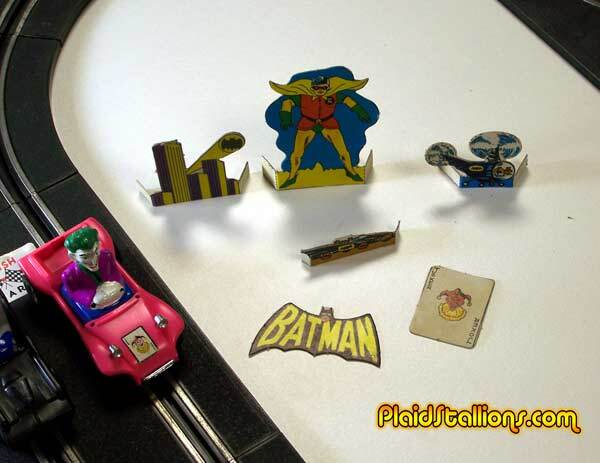 As you can see the big star of this set are the cars, how cute are these? 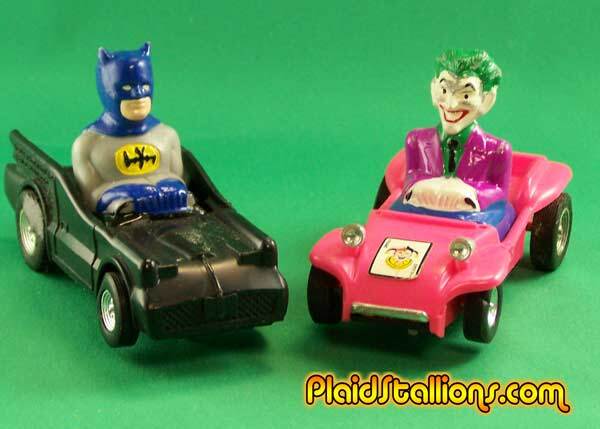 It doesn't hurt that the Joker's car looks like Wonderbug. 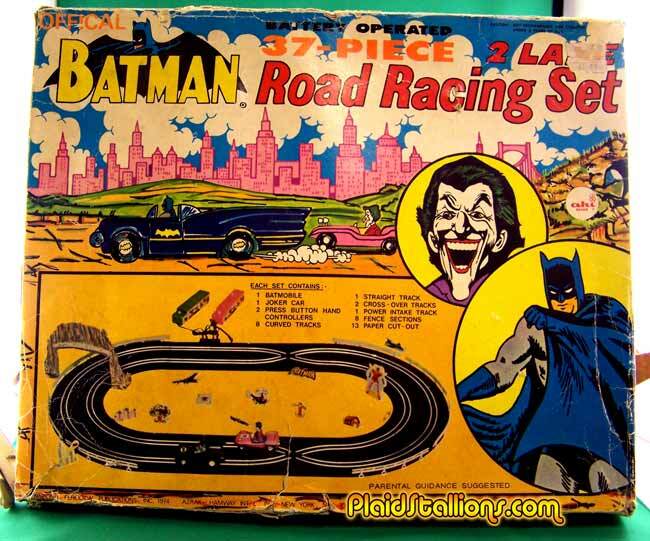 The track is generic but AHI threw in a lot of cardboard goodies to keep the Batman vibe going, I especially like the Joker card. 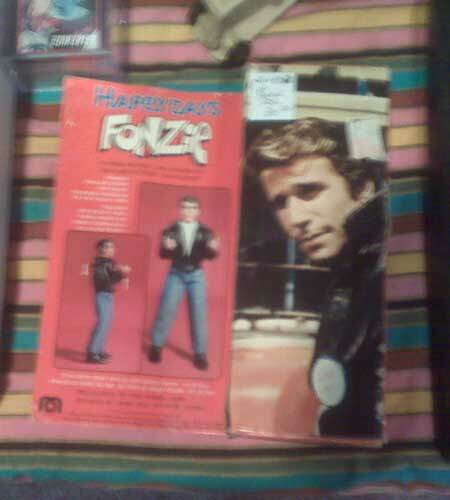 This may have been 1975 but the influence from the TV series is still very obvious, it's a little cardboard Bronson canyon! Father and Son Gigolos: with over 65 years of love making experience under their combined belts. No job too big or small for them to handle and remember, every Wednesday seniors are half price (with coupon). "At first, ROM’s voice sounded too much like Darth Vader so they had to tweek it. It sounded like a Cylon Centaurion here. 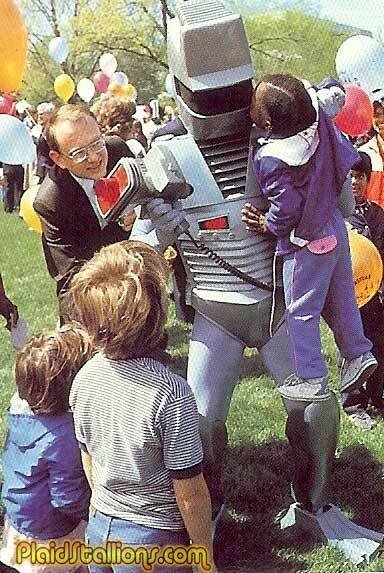 I saw ROM at a San Diego Comicon in 1981 and his voice was normal, so maybe Marvel thought they would get sued from George Lucas or Glen A. Larson (Battlestar Galactica) so they did away with it." Cool info and photo, thanks Lynch!